Datsun Cross will not be called the ‘Go Cross’ any longer; it will feature a CVT automatic gearbox. Datsun has confirmed that it will introduce the production-spec Datsun Cross in Jakarta, Indonesia on 18th January, 2018. Earlier, the company introduced the crossover as the Go Cross concept at the 2015 Tokyo Motor Show and the 2016 Indian Auto Expo. Now it is quite clear that the car will be badged as the ‘Cross’ rather than the earlier rumored ‘Go Cross’. In addition, the Datsun Cross will also carry the Continuously Variable Transmission automatic transmission (CVT). 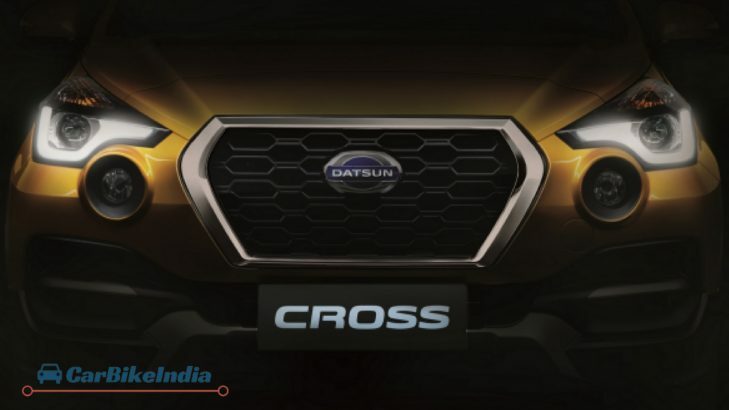 Ahead of this international debut, the auto-major has released the teaser image of the Cross front profile, wherein the concept name Go Cross is now replaced by the name ‘Cross’. 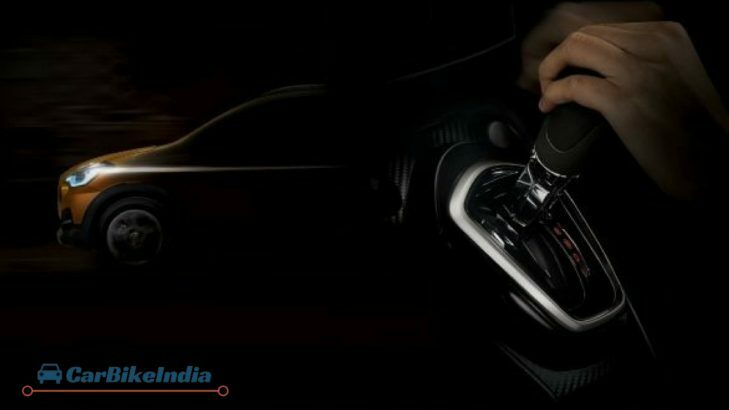 In the teaser image released by the company, the car looks quite impressive and upmarket compared to its siblings. Recommended: Renault KWID Review – Price List, Mileage, Images, Specifications, Exterior, Colours, Features & More! What attracts more are projector headlamps with LED DRLs, the company’s iconic grille and the bumper embedded fog lamps, similar to the previously revealed concept model. Sportiness is well raised by the contours and creases on the front bumper, unlike the Go and Go Plus models. The SUVish appeal is further enhanced by the cladding and sporty tailgate. This new generation compact crossover will get a stylish design along with sophisticated features. The car will be based on the GO+ platform and is also reported to come with a high ground clearance. You may also see a roof rack that will be able to handle the luggage of up to 30 kg. Although the interior details of the Datsun Cross are not yet out, but we expect inside is something similar to the Go and Go+ siblings. As far as the features are concerned, the company has already given a hint at the Datsun Indonesia website that the car will be loaded with some sophisticated features, therefore, we can expect that this car will stand at par to its so called rivals like Honda BR-V and Mahindra KUV100 in terms of features. 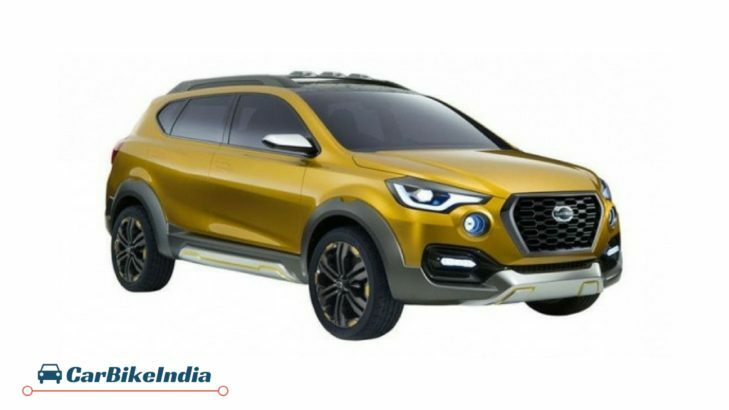 As far as the powertrain is concerned, the Datsun Cross might miss the diesel engine and will be introduced with the company’s very own 1.2 litre petrol powertrain (used in present Go series), and a newly developed engine rumored to be of 1.6 litre capacity. In India, the Datsun Cross is anticipated to be launched later this year and is likely to priced in the range of Rs. 4 lakh to Rs. 5 lakh. ← Royal Enfield Thunderbird 350 Review, Price List, Specifications, Performance, Rivals and More!